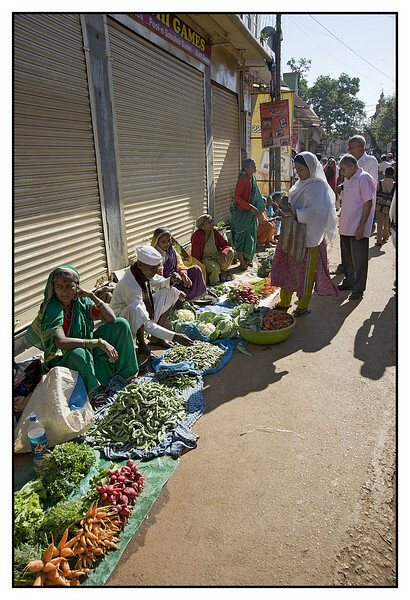 Every Tuesday people from surrounding villages come to Mahabaleshwar's Market and set up shop for a day. Apart from fresh vegetables and fruits, there are household items, clothes and other novelties too. Super capture of the street life! Amazing capture. Love the sunlight, color and composition! Looks like an interesting place to shop! Love the perspective here and the various colors and actions! !